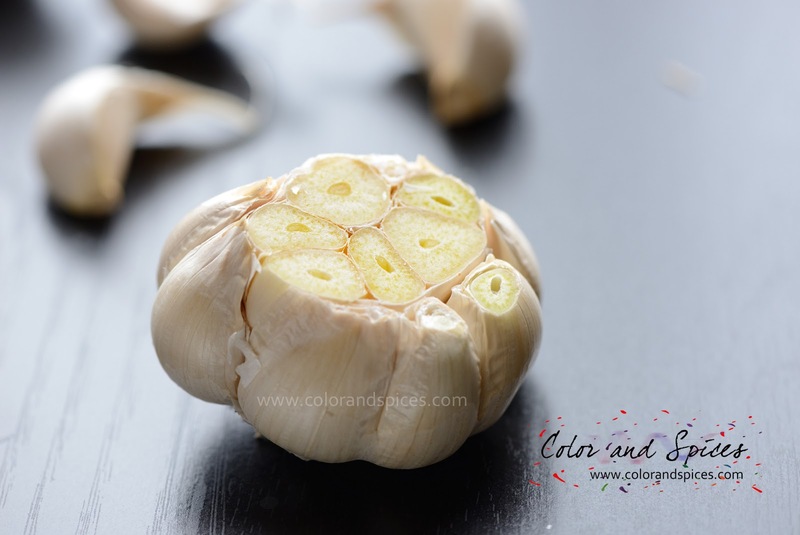 Garlic, either you love it or you hate it. I belong to the first group. I simply love garlic. 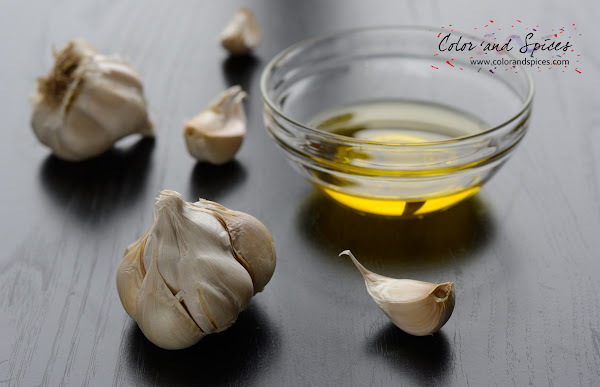 Today it is on the name of garlic I'm posting the roasted garlic recipe. You can use this roasted garlic to make garlic bread, or in the soup or dip. Try this on your chicken or mutton curry, it will give a new dimension to the dish. Even you can add this to make alu paratha or garlic nan, the options are endless. 1. Preheat oven to 400F/200C. 2. Take a garlic head and remove all the outer covering. 3. Cut 1/4 inch from the head and expose the garlic. 4. 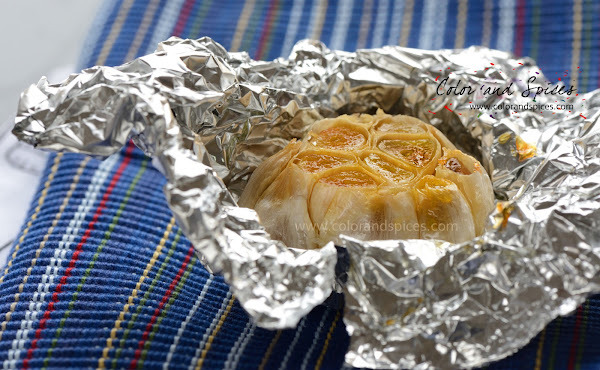 Place the garlic on a piece of aluminium foil, drizzle olive oil. Cover the garlic with the foil. Cook for 30-40 min. 5. Let cool down completely, use as desired. 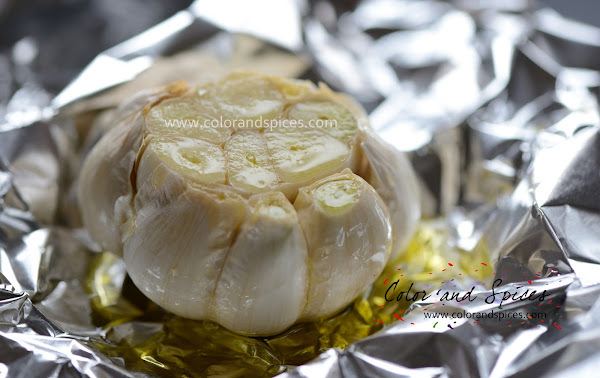 Push the cloves lightly to take the soft buttery garlic. I used them for making the filling of the pull apart bread. hi, one clarification..do u peel(i mean the 'sada chokla')the garlic before rosting? u mentioned that 'remove all teh outer covering", but chhobi dekhe mone holo sada chhokla ta ache...thx for posting and love all ur recipes and pics!! Just do like the pic shows. Keep the outer covering of the individual cloves. Remove only the extra dry white scales. Garlic Sun Dried Tomato Pull apart bread..